Our doctors have over 80 years combined experience, and they truly put your care first! Contact Us to Schedule your reservation today with one of our doctors! John L. Gravitte, D.D.S., P.A. Dr. Gravitte is very proud to say that he was born and raised in Mount Airy, North Carolina. After graduating High School, he moved to the mountains of North Carolina where he graduated with honors from Lees McRae College with an Associate of Science degree. He then moved to the coast where he completed his Bachelor of Arts degree with a major in Biology and a minor in Chemistry at the University of North Carolina in Wilmington. 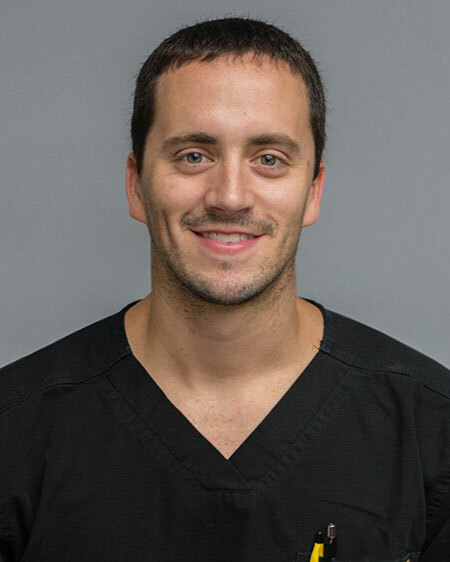 Dr. Gravitte continued his education at the Indiana University School of Dentistry in Indianapolis, Indiana, and graduated with his Doctor of Dental Surgery degree. Even though he is fully licensed to practice dentistry in Indiana and North Carolina, Dr. Gravitte was eager to move back home to Mount Airy where he began practicing dentistry full time. Dr. Gravitte opened his office in April of 2004 in the heart of Mount Airy. Starting out as the only doctor with only 3 treatment rooms and 5 team members, he has since grown his practice to expand into a new building with 13 treatment rooms, 6 doctors, and over 20 team members! Much of our continued success and growth are a direct result of our dedication to making our patients as comfortable as possible while providing top quality dental care. We understand most people do not enjoy going to the dentist or may have had a negative experience with the way they were treated previously. It is our mission to help each person through their treatment and care for them with dignity and respect. As a result, we continue to grow rapidly and receive many referrals from our existing patients who want their family and friends to experience the difference our dental office provides. 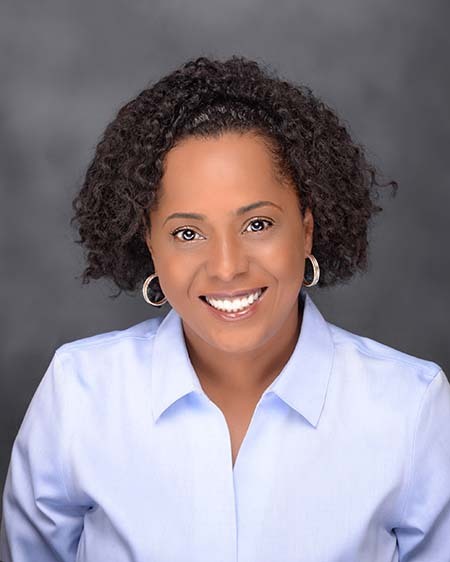 We are thrilled to introduce Dr. Jacquese Black as the newest member of our 'Dentistry with Heart' practice family! Dr. Black is a North Carolina native and a local Piedmont resident with over 20 years of experience practicing dentistry. Dr. Black also enjoys outdoor activities, spending time with her family and listening to music! Please join us in welcoming her to our practice! 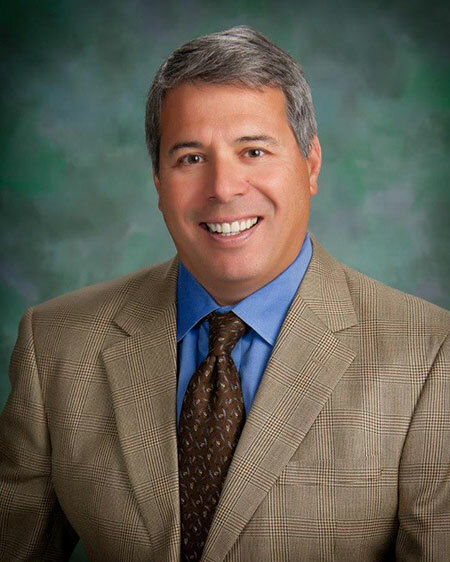 Dr. Perrino has been a family dentist for many years in Fayetteville, North Carolina. His purpose is to help you keep your teeth healthy, strong, and attractive for your entire life.Dr. Perrino provides a gentle, friendly experience, from pediatric services to adult treatment. Dr. Perrino will always take the time with each of you to determine your needs and wants so that he can offer exactly what you need regarding general dentistry. 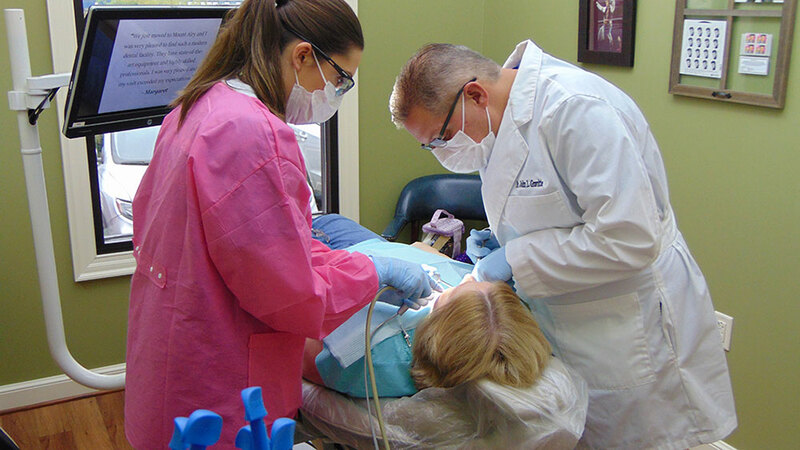 Each year, Dr. Perrino takes numerous continuing education courses in advanced clinical work, dental technology, material and techniques to offer the best care possible as a family dentist in North Carolina. Just as in computer and medical technology, dental technology has improved dramatically. Using modern, state-of-the-art dental procedures, materials and equipment, Dr. Perrino can fix broken or decayed teeth and give you a complete smile makeover. Dr. Paresh Patel, a graduate of UNC-CH School of Dentistry, has been practicing since 1996. Dr. Patel comments that what he most enjoys about dentistry is the ability to watch the emotional, physical and mental transformation that his patients experience with their new smile. "It's wonderful to share the excitement of a new smile with patients. It's simply amazing how confident people become being able to smile again." 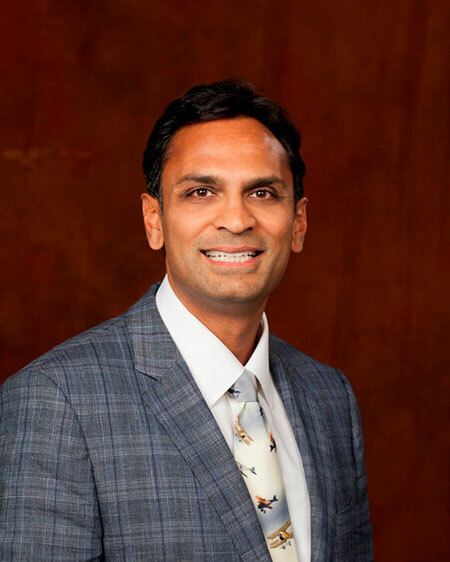 Dr. Patel has a passion for keeping up with the changing technology and materials in dentistry and has placed over 5,000 dental implants, and lectures worldwide on the subject of implantology. Dr. Brant Arnold is a general dentist serving the mountain region of NE Tennessee, SW Virginia, and North Carolina. He is a 2008 graduate of UAB School of Dentistry in Birmingham AL and spent 5 years serving in the US Air Force Dental Corps. His time in the service garnered him extensive surgical experience and included a residency gaining him outstanding training in IV & oral sedation and oral surgical procedures. Dr. Arnold has been offering IV sedation to patients since 2008 and continues to provide this beneficial service to patients of this region. Dr. Arnold has gained skill and proficiency at sedation and oral surgery as these areas have become his most rewarding to perform. His fervor for these treatments began early in his dental school training when he went on his first of three mission trips to Peru with the Christian Medical Ministry of Alabama. Organized and supported by local churches, he and other dentists-in-training on the mission team performed hundreds of extractions for people who had little or no access to routine dental care. Dr. Arnold continues to provide volunteer services to those in need, volunteering time when available at Healing Hands in Bristol, TN. Dr. Arnold is an avid outdoorsman and family man. He is married with 3 beautiful children. When out of the office he can be found in the woods or on the water, or with his young family staking out on an adventure. Dentistry with Heart for You and Your Family in Northwestern North Carolina!